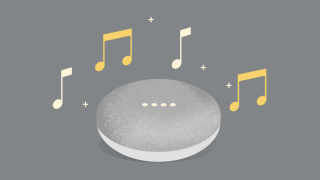 Evidence is mounting that we're about to see the announcement of the Google Home Mini, a smaller version of the Google Home smart speaker similar to Amazon's Echo Dot. This leak comes courtesy of someone who lives near Google's campus in Silicon Valley, who discovered that the device was available for setup in their Google Home app. This suggests a neighbor had a Google Home Mini (possibly because they work for Google themselves), which during its setup phase anyone within range was briefly able to connect to. The Google Home Mini's existence was first suggested two weeks ago when Droid Life obtained leaked images. These images suggested the speaker would be available in chalk, charcoal or coral colors, and would be priced at a budget-friendly $49 (about £40 / AU$60) compared to the Google Home's premium $129 (£129 / about AU$170) price point. Without official confirmation we don't yet know when the smart speaker will make an appearance, but we're expecting to see the device make an appearance at tomorrow's Google Pixel 2 launch event.